Oklahoma's Shay Knighten smacks a bases-clearing double in the bottom of the second inning, putting the Sooners back on top against the Gators 5-3. 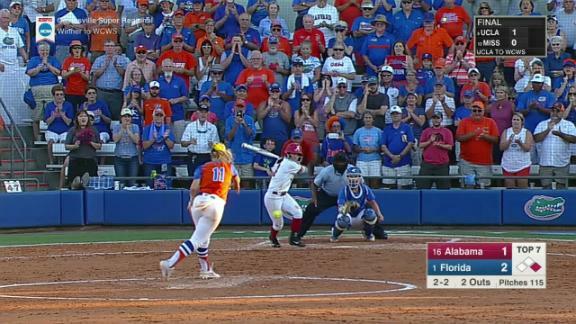 Florida's Sophia Reynoso smacks a solo home run in the top of the second inning, tying the game with Oklahoma at 1-1. Oklahoma's Nicole Mendes leads off the bottom of the first inning with an opposite-field solo home run. 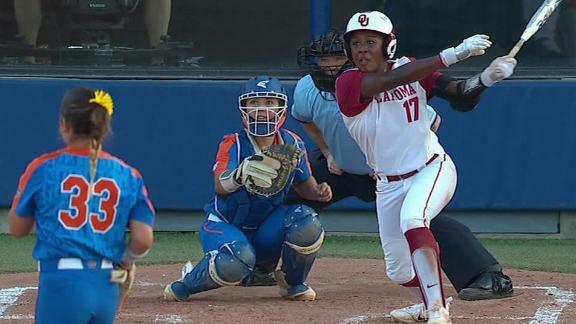 The Sooners finally stopped the Gators' bats, after losing the lead twice in the bottom of the inning with two outs, to take Game 1 over Florida in the Women's College World Series. 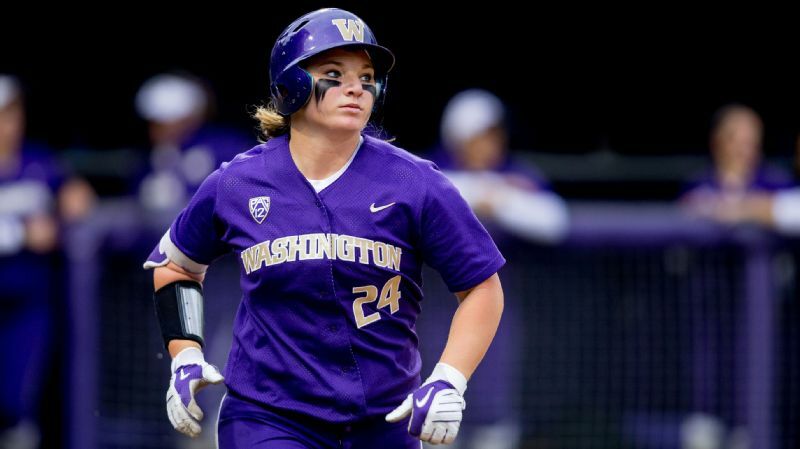 Ali Aguilar hits a home run on back-to-back nights, as this one was the difference in Washington's 1-0 victory over UCLA. 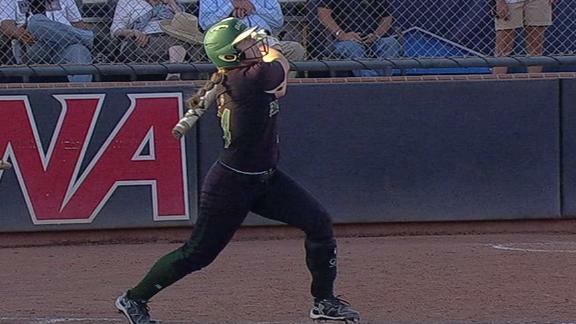 Mia Camuso laces a two-run double to left field to increase Oregon's lead to 7-4 over Baylor. No. 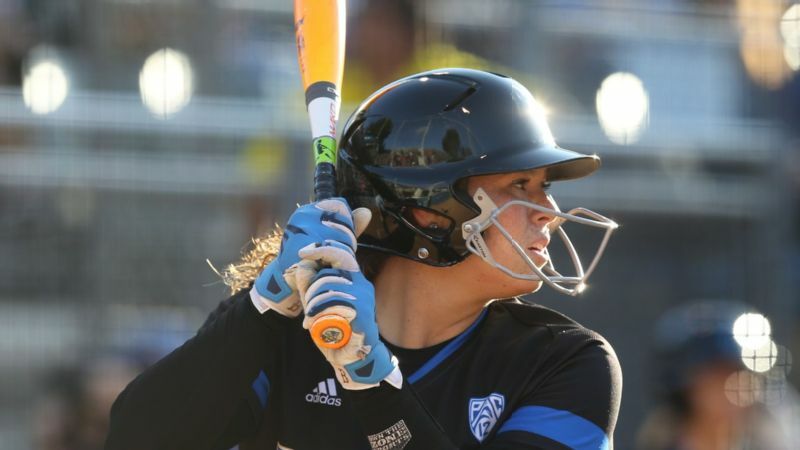 5 seed UCLA beats Texas A&M 8-2, ending the Aggies' season. 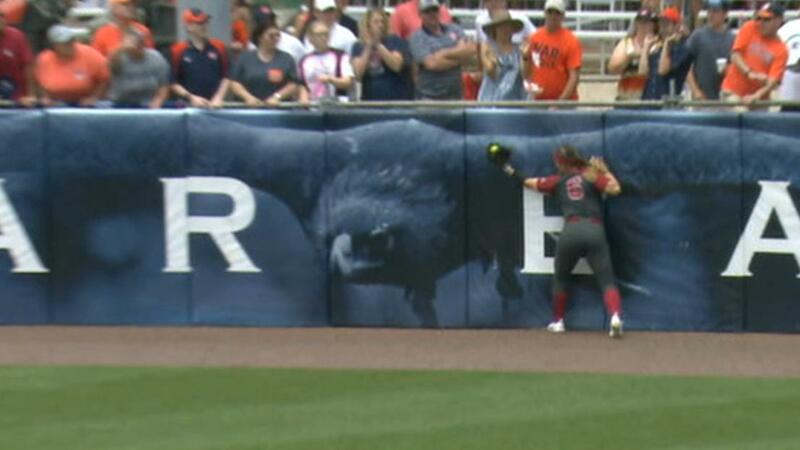 Oklahoma's Fale Aviu breaks for home after a bunt and appears to exit the basepath but is ruled safe when she touches home plate as the Sooners defeat the Huskies 3-1.